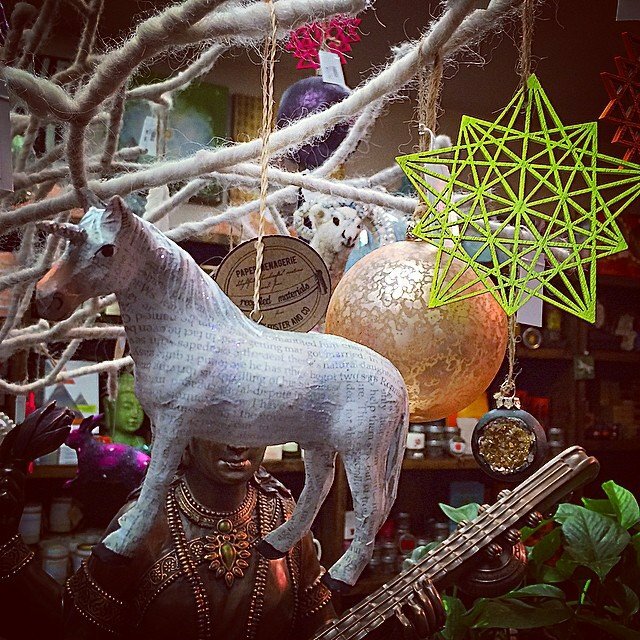 Who else has #unicorn and #sacredgeometry ornaments? Tonight is the last First Thursday of 2014! 20% off all ornaments until 9pm tonight!